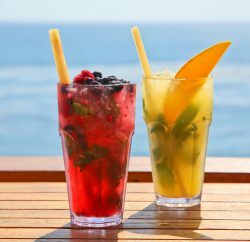 You’ll find everything you need to live the wave-rider lifestyle right here in Laguna Beach. When the first surfers took to the waves on longboards for the inaugural Brooks Street Surfing Classic in 1955, a sea change was coming for surfboards. The following decade would see boards begin to transition from wood to polyurethane foam, and in the late 1960s, shortboards would gain immense popularity. 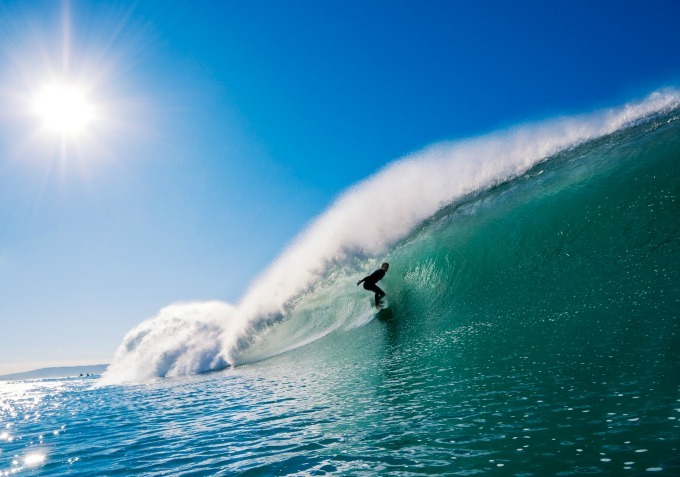 Today, shortboards, longboards, paddleboards and skimboards all share Laguna’s waves. The unending quest by surfers to build a better device for riding waves has transformed board-building from a garage endeavor to a multibillion-dollar industry and Laguna’s surfers, shapers and crafters have always been on its cutting edge. Indeed, Laguna’s rich history as a surfing mecca often intertwines with its artistic roots. 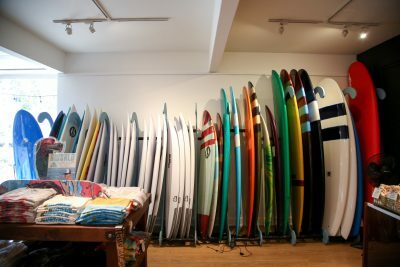 For years, surfer artists have designed T-shirts for the Brooks Street contest, and some surf shops in town have looked to local artistic talent to decorate their walls and design their products. Laguna’s surf shops all have different stories to tell. Below, we’ve rounded them up, from A to Z. Of course, they all have a shared goal of helping people get into the water and connect with the ocean, as do the surfing instructors in town. Rod Greenup, owner of CA Surf N Paddle, say his favorite surf spot is Rockpile Beach. At CA Surf N Paddle, Greenup builds custom surfboards and paddleboards, does repairs and provides board rentals and lessons. 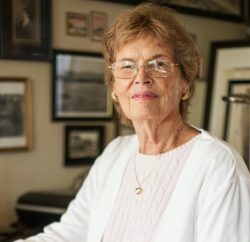 The full-service store, which opened in 1991, moved to its current location approximately five years ago. 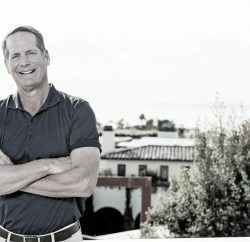 Greenup began shaping boards as a teenager in the 1980s and opened his first shop at the tip of Baja California in 1985. 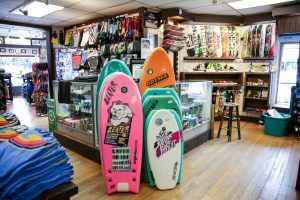 In addition to selling surfboards, paddleboards and skimboards, the store also provides apparel and accessories. Items like trucker hats, T-shirts, boardshorts and sunglasses round out the shop’s offerings. Hobie’s Surf Shop carries men’s, women’s and kids clothing that reflect the surf lifestyle. 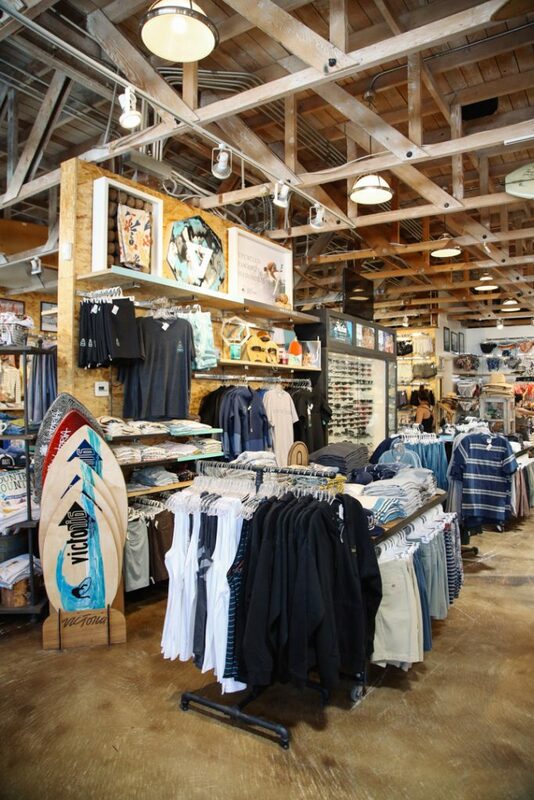 Laguna Surf & Sport is among the local shops offering a wide variety of clothing and surf gear. A quiver of surfboards at R World Surf & Skate. 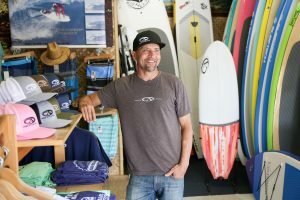 • Editor’s note: This story has been edited from the print version, updating with the fact that Laguna Surf & Sport is now under local ownership once again, after founder Eric John and his partners bought the shop back from Volcom last year. 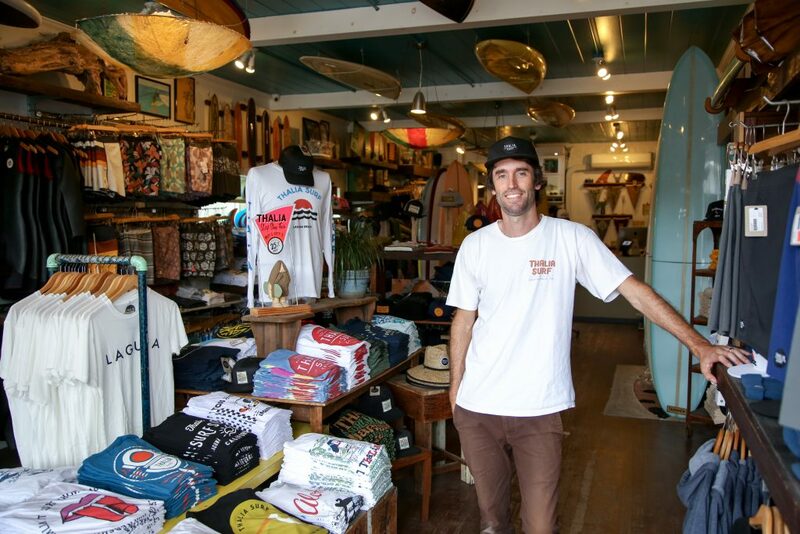 Nick Cocores, owner of Thalia Surf Shop.